The entomology research of Brett Ratcliffe is featured in the new publication "The Dynastine Scarab Beetles of Mexico, Guatemala and Belize." It is the third National Science Foundation-supported volume documenting the scarab beetles of Mesoamerica. 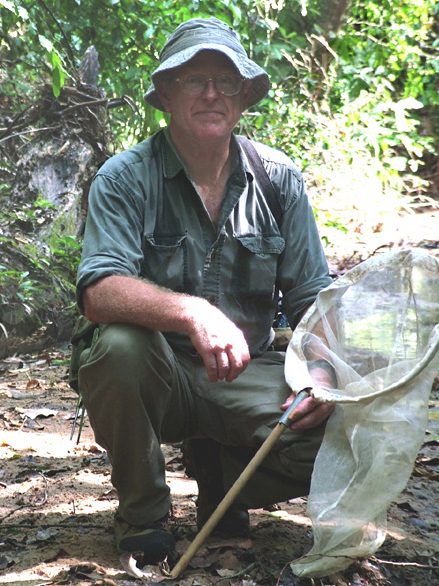 Co-authors of the new volume are Ratcliffe, professor of entomology and curator in the University of Nebraska State Museum of Natural History; Ronald Cave, University of Florida; and Enio Cano, Universidad del Valle in Guatemala. "The Dynastine Scarab Beetles of Mexico, Guatemala and Belize" documents the 198 species known to occur in the region. Keys for identification are listed in both English and Spanish. All species are described and illustrated. Also are included synopses of the habitats in each country, a glossary and extensive references. The 666-page, full-color publication is Volume 27 of the Bulletin of the University of Nebraska State Museum. For more information on the publication, go to http://go.unl.edu/npar. 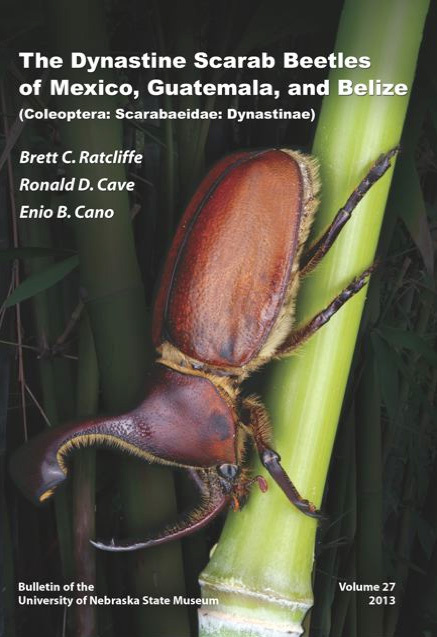 Cover of "The Dynastine Scarab Beetles of Mexico, Guatemala and Belize," an NSF-funded publication that features the research of UNL's Brett Ratcliffe.